Celebrate autumn in Austin with loads of fun seasonal activities, including everything from pumpkin patches to fall fests and spooky tours. We’ve got 22 festive fall ideas to get you started. Fall Pumpkin Patch. Credit Barton Hill Farms. 1. Pick pumpkins and explore a corn maze at local farms. 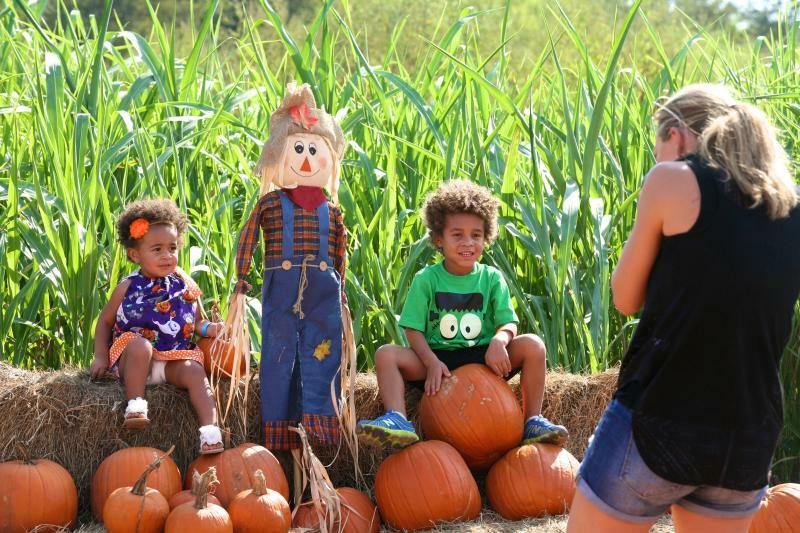 Head on down to the farm for some old-fashioned harvest fun, such as exploring the five-acre corn maze and feeding the farm animals at Barton Hill Farms in Bastrop; picking your own pumpkins and gourds from the pumpkin patch at Sweet Berry Farm in Marble Falls; or going for a hay ride and meeting the animals at the petting zoo at Georgetown&apos;s Sweet Eats Fruit Farm. 2. Take in fall’s splendor on horseback. Enjoy fall foliage and the quiet charm of the Texas Hill Country with a guided trail ride on horseback with Maverick Horseback Riding in Lockhart or Texas Trail Rides, just outside downtown Austin. 3. Enjoy beer, brats and bands at Oktoberfest. 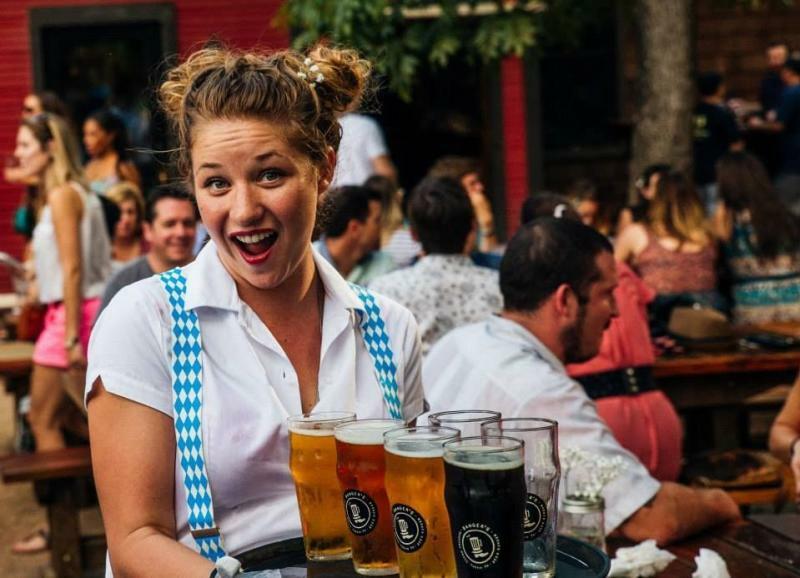 Celebrate Central Texas’ German heritage with Oktoberfest events around the region. Toast the harvest with a stein of bier and a juicy bratwurst in hand at Banger&apos;s Oktoberfest weekend from October 18-21 or AustOberfest on September 29, 2018. From October 5-7, 2018, Oktoberfest in Fredericksburg will feature German music, authentic cuisine and children’s activities. For carnival rides, Bavarian-style entertainment and German-style sausages, head over to Wurstfest in New Braunfels November 2-11, 2018. 4. Watch a movie under the stars at Blue Starlite Mini Urban Drive-In. Drive over to the Blue Starlite, Austin’s only drive-in movie theater, and watch classic and indie flicks on the big screen beneath the night sky. 5. Peruse artwork at the Fall Pecan Street Festival. 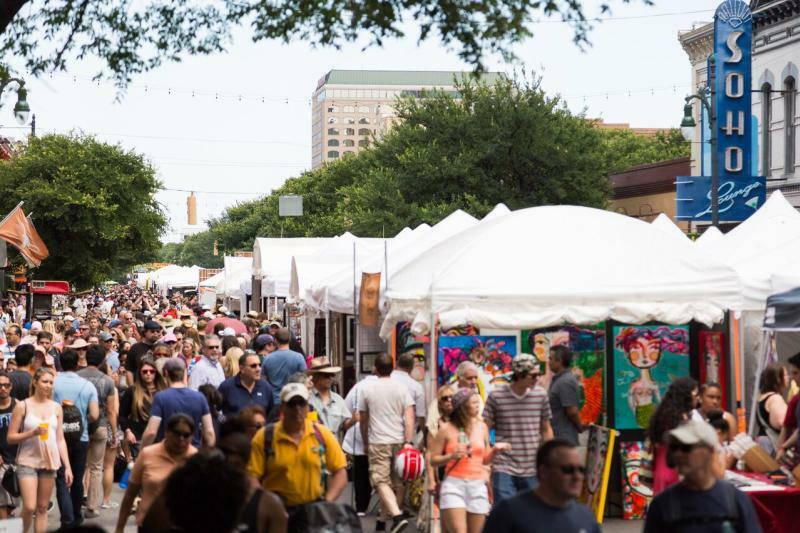 Hundreds of makers, crafters and artists take over Austin’s Sixth Street Historic District for the annual Fall Pecan Street Festival to sell their handmade wares, home goods and artwork from September 22-23, 2018. After buying a one-of-a-kind piece, listen to local live music at one of the numerous stages, nosh on delicious dishes from more than 30 street food vendors, and bring the kiddos to enjoy the petting zoo, rides and face-painting. 6. Stroll through a historic cemetery. Join the free annual Murder, Mayhem & Misadventure Walking Tour on October 20, 2018, at Oakwood Cemetery and learn about the unfortunate demise of some of its locally famous residents, portrayed by actors at actual grave sites. Pedernales Falls State Park. Credit Vance Miller, courtesy of RootsRated. 7. Go on a camping adventure. There’s nothing like the crackle of a campfire and the smell of roasting marshmallows. Enjoy fall’s warm weather with an overnight adventure at one of the many state parks and campgrounds just outside of Austin. 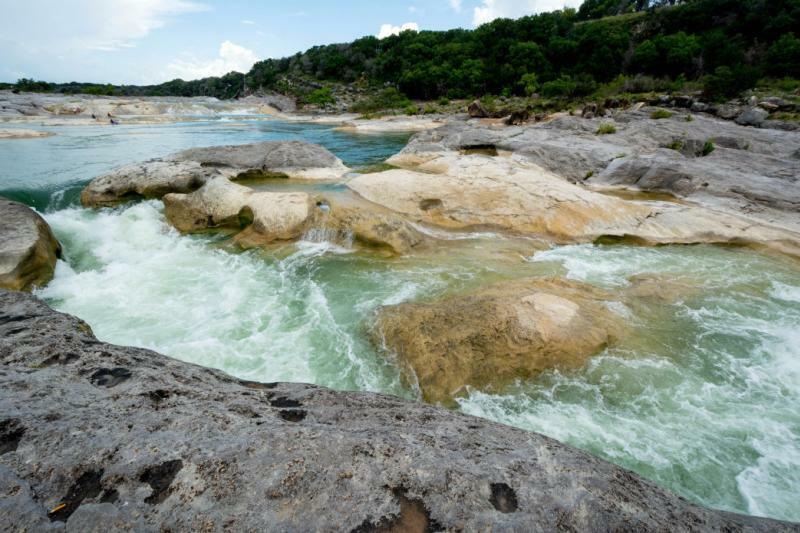 Pick the perfect spot to spend the night at Pace Bend Park, McKinney Falls State Park or Pedernales Falls State Park. 8. Bring the kids to Boo at the Zoo. Unleash your little ones at the Austin Zoo, where they can enjoy Boo at the Zoo on Friday and Saturday nights from October 5-27, 2018. Enjoy a spooky train ride, an entertaining puppet show and a haunted mansion, in addition to meeting the animal residents. 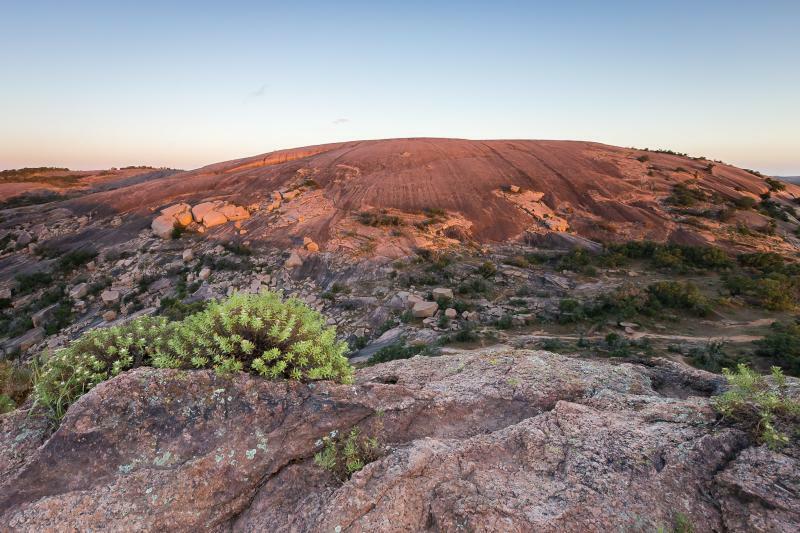 Enchanted Rock. Courtesy of Pierce Ingram. 9. Work up a sweat on a hiking trail. From downtown Austin to the nearby Texas Hill Country, you’ll find no shortage of places to explore on foot. Take in scenic city views along the Ann and Roy Butler Hike-and-Bike Trail that winds along the shores of Lady Bird Lake, or follow the nature trails at Balcones Canyonlands National Wildlife Refuge near Marble Falls or Enchanted Rock State Natural Area near Fredericksburg. 10. Get spooked at a haunted house. From brain-hungry zombies to bloodthirsty monsters, come face-to-face with the scariest creatures from your worst nightmares at House of Torment haunted house. Or travel an hour outside of Austin to Scream Hollow Wicked Halloween Park, where you can brave four different haunted houses and the only vampire bar in Texas! Real Ale Glass in Tap Room. Courtesy of Real Ale Brewing Co.
11. Sip a seasonal beer at a craft brewery. 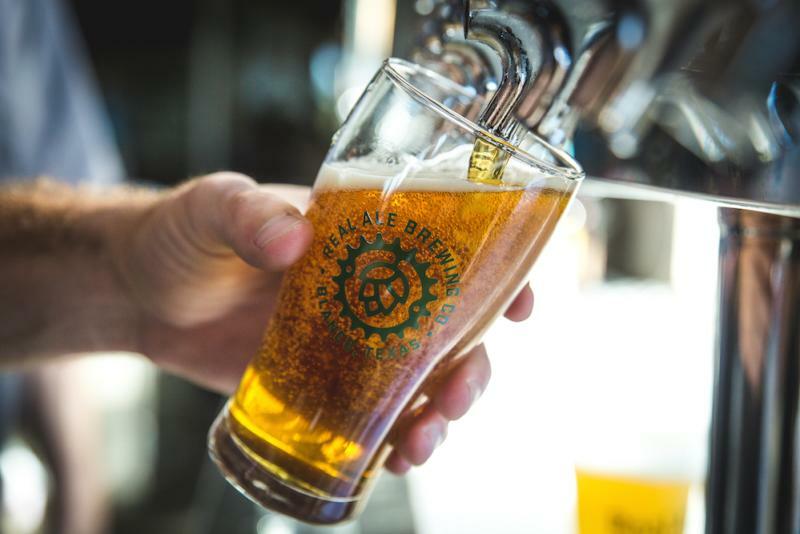 Savor the suds of the season at one of Austin’s many craft breweries. Enjoy a malty pint of Bavarian-style lager with Real Ale Brewing Co.’s Oktoberfest or Live Oak Brewing Company’s Oaktoberfest. 12. Dare yourself to explore the spooky trails at Pioneer Farms. Venture into the Haunted Halloween Trails at historic Pioneer Farms to find funny and super-scary surprises along the way. Bring the whole family to enjoy scarecrows, ghost stories, food trucks and live music. Perla&apos;s Patio. Credit Casey Dunn. 13. Eat outdoors on the nearest patio. In Texas, autumn days equate to gorgeously sunny weather (which, if you ask us, means prime time for patio sitting). 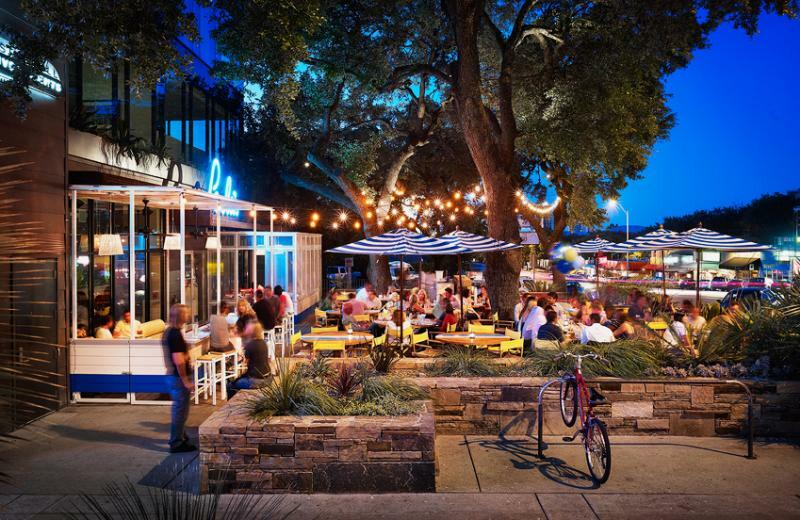 Dine on Italian specialties beneath an ancient oak tree on Olive & June’s patio, throw back some freshly shucked oysters al fresco at Perla’s Seafood and Oyster Bar, or enjoy sustainable wine and artisan cheese boards at Alta’s Cafe, where the patio overlooks Lady Bird Lake. 14. Immerse yourself in the colorful celebration of Dias de los Muertos. 15. Dig in to all things pumpkin. Forget pumpkin spice lattes. In Austin, we take the seasonal splendor up a notch for pumpkin lovers. For breakfast, indulge in the famous pumpkin pancakes at Kerbey Lane Cafe. At lunch, pair your burger with a creamy pumpkin shake at Hopdoddy. For dinner, try the gnocchi quartet seasoned with pumpkin-cinnamon at Buenos Aires Café. And don’t forget dessert, including decadent pumpkin cupcakes at Sugar Mama’s Bakeshop, pumpkin spice ice cream cake at Amy’s Ice Creams and made-to-order pumpkin snickerdoodle ice cream sandwiches at Moojo. 16. Get out on the water. Make the most of Austin’s glorious fall weather with an excursion on the glittering waters of its lakes. Kayak or stand-up paddleboard on Lady Bird Lake with a rental from SUP ATX, or go with a pontoon boat at VIP Marina Lake Travis for fishing and soaking up some sunshine. Argus Cidery. Credit W. Pruitt Photography. 17. Try a refreshing cider. Sure, you could always go to a nearby U-pick farm to enjoy the bounty of apple harvest season. Or, you could enjoy the grown-up version with a glass of hard cider made from freshly pressed apples. 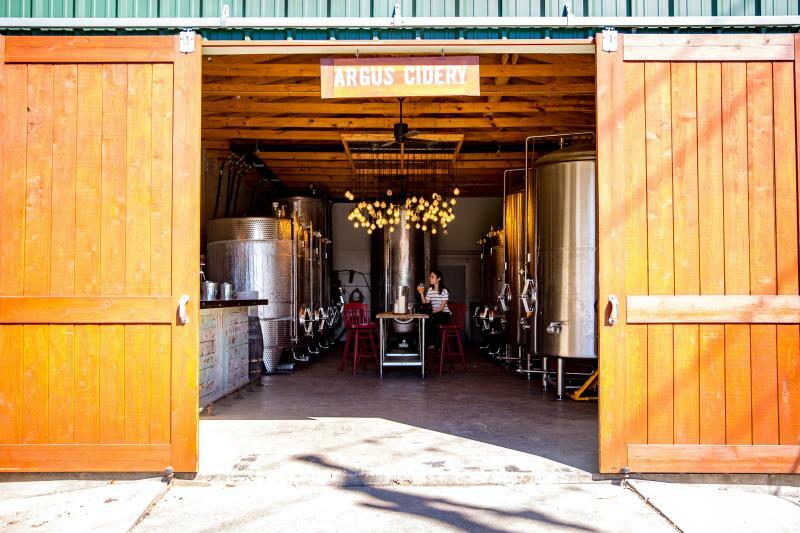 Sample the full-bodied, slightly sweet Apple Bomb at Argus Cidery. Or stop by the tap room at Austin Eastciders to try the limited-edition Spiced cider, laced with cinnamon, cardamom and cloves. 18. Take kids to the spooky Halloween Children’s Concert by Austin Symphony. On October 28, 2018, bring your children to the AISD Performing Arts Center for a frightfully fun symphonic performance at the annual Halloween Children’s Concert. Bonus points if your kiddos come in costume! 19. Spoon into a slice of pie. Enjoy end-of-summer fruits and the spices of fall with a slice of homemade pie. 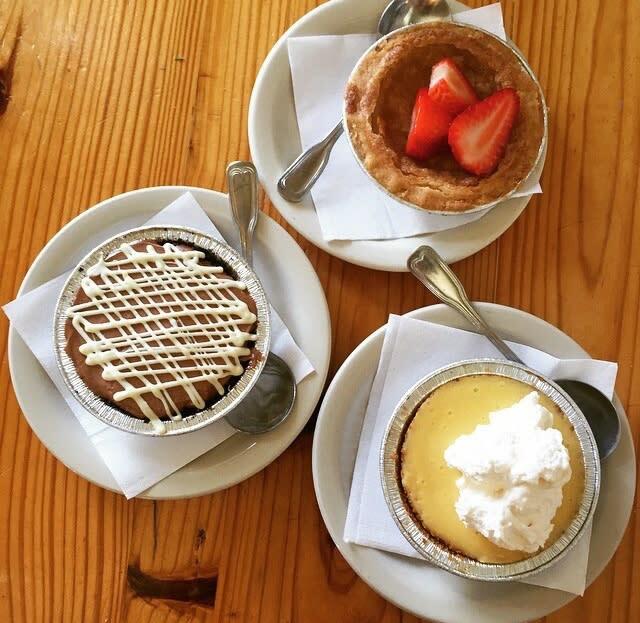 Elaine’s at Eastside Café is famous for its decadent flavor combinations (think ancho chili fudge pie and bourbon buttermilk pie), while Upper Crust Bakery keeps it classic with staples such as pecan pie, Dutch apple pie and pumpkin pie. 20. Take off on a Texas Hill Country wine trail. Spend a day wandering around sprawling vineyards and sipping your way through a lineup of award-winning wines when you go on an excursion with Discover Texas Wine Tours. Make your way through the wine trails of Marble Falls, Dripping Springs or Fredericksburg. 21. Get in the spirit at a UT football game and tailgating party. It’s hard not to get in the team spirit when you’re in the midst of Texas Longhorn country. Don your burnt orange and white, and cheer on the University of Texas at Austin football team as they face off with rivals at Darrell K Royal – Texas Memorial Stadium. Before the game, join fellow fans in some tailgating action at historic Scholz Garten or the lots at 17th and Congress, just south of the stadium. 22. Take a ghost tour. Join a guided walk with Austin Ghost Tours and see some of Austin’s most haunted places. Or ride in style with the Haunted ATX Hearse Limo and cruise local landmarks rumored to be inhabited by ghosts.